Liverpool City has the biggest planning applications in the UK, with incoming investments of a £10-billion set to create over 50,000 new jobs in the next 30 years. Liverpool (Merseyside) is one of England’s metropolitan counties, with a population of over 1,380,000. The City flourished due to its famous port dock which has been classified as one of the most important docks and ports in the world (with 40% of the world’s shipping cargo moving through). The City has the biggest wealth management center in the UK – outside London -, handling £13-billion in assets and employing 60,000 people in the sector. Liverpool welcomes approximately 75-million visitors per year which add £3.64 billion to the local economy. The tourist industry supports over 48,000 jobs. Liverpool emerges as the digital economy industry’s runaway success stories. Liverpool Vision - UK’s second largest regional economy with access to six million customers, an economy worth more than £121 billion and 252,000 businesses. Over 28,000 skilled people are employed in the business services sector across Liverpool. 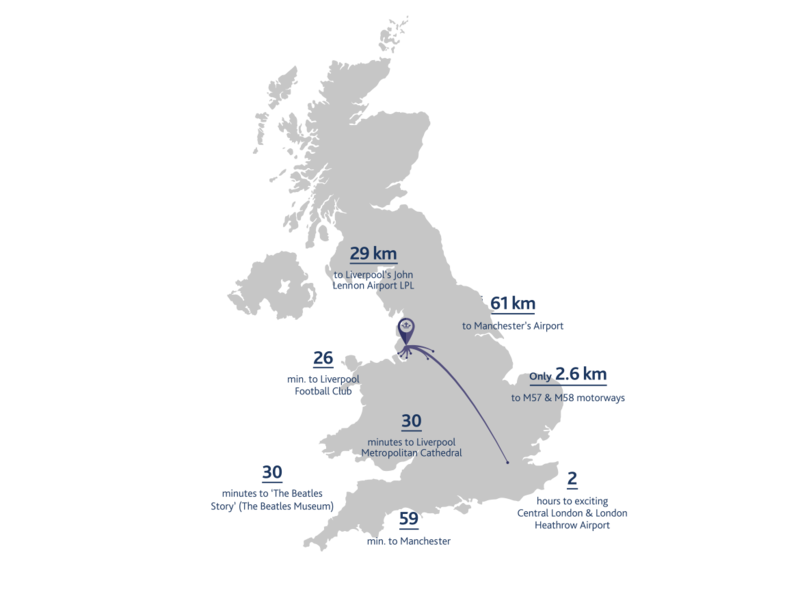 The city is a hub for international trade boasting one of the most active ports in the UK. Liverpool also has a reputation as a world-class center for wealth management. The 2008 appointment as European Capital of Culture highlighted the fact that the city boasts world-class museums, art collections, theatres, and its own Philharmonic Orchestra. After the completion of Liverpool One, the city is now one of UK’s most popular retail destinations.